Minivans are the most versatile and user-friendly vehicles on the market today. And at Landers McLarty Nissan Huntsville in Huntsville, AL, we believe that minivans can be fun to drive and are the perfect do-it-all vehicle. That’s why we have the best selection of the 2015 Nissan Quest in stock for you to test drive. As one of Alabama’s premier Nissan dealerships, Landers McLarty Nissan Huntsville proudly serves Albertville, Decatur, Florence and Athens, AL with the largest selection of new Nissans. Visit us at 6250 University Dr. NW and check out the new Quest today. For 2015, the Quest receives a reprogrammed transmission, as well as improved fuel economy. Opting for the Around View Monitor now includes moving-object detection, while last year’s LE trim is now referred to as the Platinum trim. 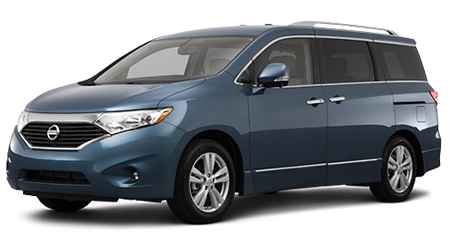 There’s a lot of solid competition in the minivan segment, so let’s see how the 2015 Nissan Quest does against the Toyota Sienna. If you plan to put seven passengers in either of these minivans, you’ll appreciate the Quest’s extra interior room. The Quest offers added front headroom, front legroom and rear headroom than the Traverse. Your passengers will appreciate the extra room on long trips, while you’ll utilize the Quest’s cargo capacity of 37.1 cu. ft. with the seats in place. Minivans make for the ideal vehicle to take long road trips in, especially with the Quest’s extra interior space. On those long trips, you’ll love the Quest’s ability to pass by the gas stations. 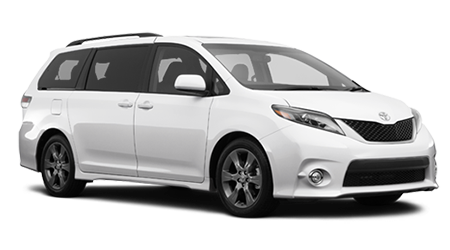 With its 3.5L V6, the Quest can get 20/27 mpg (city/hwy) while the Sienna can achieve a fuel economy of 18/25 mpg (city/hwy). With a 20 gallon fuel tank, the Quest has a range of 400/540 miles (city/hwy) and can rack up the miles with ease. If you’re looking for a minivan that has exceptional value, good fuel economy and copious amounts of room for your passengers, then stop by Landers McLarty Nissan Huntsville in Huntsville, AL and check out the 2015 Nissan Quest. Our staff will go above and beyond to get you into a Nissan that works for you. Located at 6250 University Dr. NW, our dealership proudly serves Huntsville with the best selection of Nissans at unbelievable prices. Stop by our dealership today and take a new Quest home!